The title in the English language says “A story about how women from the gods’ homes change poverty in the Himalayas”. From the Himalayas, where thousands of tourists fascinated by the magnificent nature gleam, locals run away. Life is tough, no prospects. 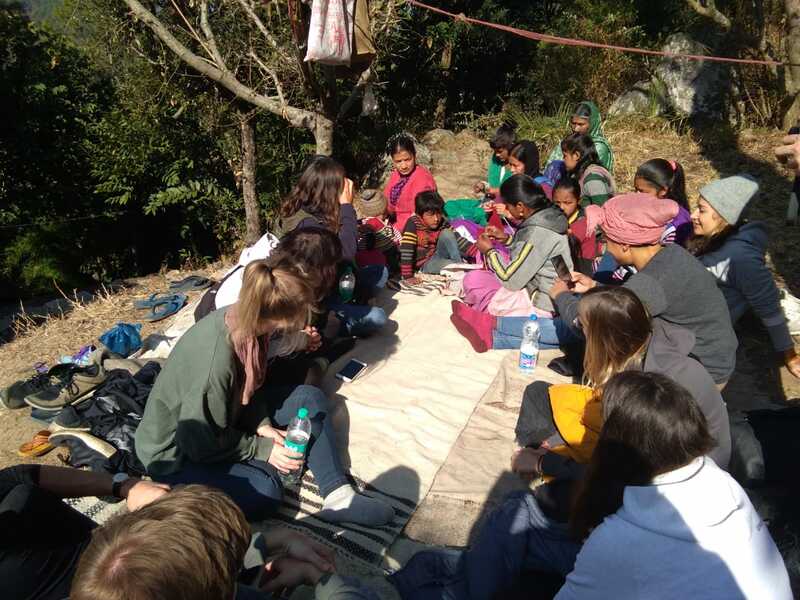 Nestled in the Kumaon region of the Indian Himalayan state of Uttarakhand, Avani is a community built on the principles of sustainability and local empowerment. A global network of diverse employees, interns and volunteers give life to Avani’s community-centric rural development programs. In a region where small farms are many families only source of income, Avani is a hub of opportunity; constantly developing new approaches to sustainable, conservation-based livelihood generation for rural communities. The name “Avani” comes from the Hindi word for Earth. 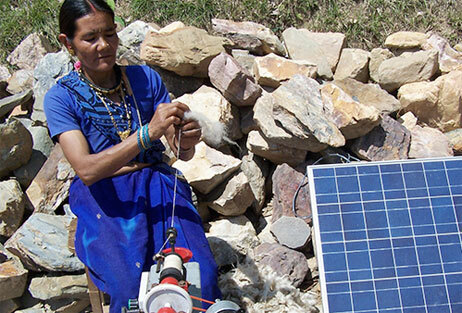 Avani creates opportunities for rural women and men to find viable employment through a self-sufficient and environmentally sustainable supply chain. Every business decision related to Avani products is guided by a strong responsibility toward environmental best practices and sensitivity to the cultural context of the villages where we work. Avani was founded in 1997, originally as the Kumaon chapter of the Barefoot College. In 1999, Avani was formally registered as a non-profit organization. Local people. Local skills. Locally-sourced materials. Avani focuses on capacity building in rural communities, and on creating opportunities for women and families to make sustainable contributions to their villages. We are devoted to generating income for local people using only local skills and local, environmentally friendly materials. Our primary focus is on sustainably harvested and produced tints, dyes, textiles and garments. Today, Avani includes a network of nearly 800 artisans and farmers who work together to grow, process, design and create products that generate income for local residents. Products range from raw natural colorants for cosmetics and pharmaceuticals to eco-friendly art supplies for children to textile printing and dyeing. Each product line is part of a high quality industry on track to scale and compete in international markets. Avani initially began working with the Shauka community, also known as Johari or Johari Shauka, of the Bageshwar and Pithoragarh districts. Traditionally, the Shaukas lived a nomadic life and were a part of the thriving Indo-Tibetan trade before Tibet was taken over by China. This made them increasingly dependent on spinning and weaving – a traditional craft they practiced to process animal fiber for their use and commerce. More than 63% of Avani’s artisans come from the Bora Kuthalia community. Traditionally, this agrarian population processed hemp fiber grown in Kumaoni valleys but they are now abandoning the craft because of the ambiguous legal framework around the growth of Indian hemp. We train them to work with silk and wool in a profitable manner. Though both men and women are involved in the activities of Avani, the focus is largely on women, where 85% of the participants in the programmes are women. Apart from the main Tripuradevi center, Avani has six field centers in the villages of Digoli, Sukna, Dharamghar, Chankana, Thanga and Basti. The villages of Digoli, Dharamgarh and Sukna, and Chankana have donated land for construction of production centers. Most of the villages are very remote, ranging from 30 minutes to four hours walking distance from the nearest road. To date, Avani has worked directly with 108 villages, benefitting 4,540 people and indirectly impacting 22,700 people through its various projects and activities. Born out of a deep respect for the environment, our focus has been on conservation rather than distribution; more on self reliance than outside dependence. We endeavor to make technology and livelihoods an integral part of living, being and celebrating life in these beautiful mountain ranges. In order to realize this dream, we initiated work on developing and disseminating appropriate technologies for meeting the energy and water requirements of the local villages. Avani works with a variety of natural fibers and materials to create its artisanal products. 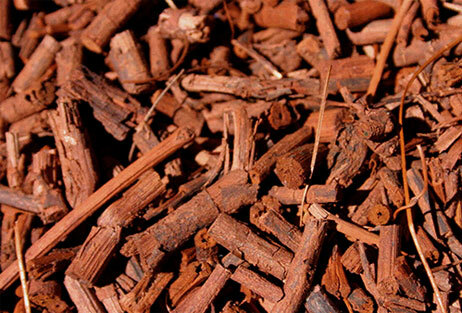 Several species of rare plants and trees provide dye materials, as well as the natural soap (from the soapnut tree) with which we wash and care for our textiles. The farmers who cultivate and collect these materials enter into sustainable livelihoods and become a part of a larger production cycle. Using these renewable materials also provides incentive to plant, grow and protect the plants and trees that yield them, thus preserving the local ecology. Rashmi , co-founder of Avani, has been working in the field of rural development for the past 22 years. Rashmi’s belief in craft as an expression of creativity for communities led her to explore this creativity to ignite the entrepreneurial spirit of the hard working women and men, living in remote villages of Kumaon. Rashmi’s commitment to the capacity building of rural women and respect for the natural resources of mother earth was instrumental in setting up the Kumaon Earthcraft Self Relaint Co-operative (EarthCraft), an artisan’s collective enterprise producing naturally dyed silk and wool textiles and lifestyle products. Her work has been instrumental in the empowerment of rural youth, especially women, resulting in the development of an entirely rural team of managers of Avani and EarthCraft. Her belief and practice of conservation based sustainable design is inherent in all her work. Assistant Manager of Kumaon Earth Craft. He handles economic planning and budgets, and coordinates the economic workings of Avani’s field centers. He also trains field employees in the use of natural dyes and field supervisors in inventory management and quality control. years of experience with rural development. Through his work with various national and international organizations, Rajnish has a rich experience of working in the area of rural development and consulting on renewable energy business for rural areas. His strong belief and ability to create conservation based livelihoods led to incorporation of Avani Bio Energy to scale the sustainable power generation work of Avani and has set up the 120 KW power plant that generates electricity and cooking charcoal from pine needles helping also in regeneration of natural ecosystems, reduction of carbon emissions and employment for villagers. Rajnish received the ‘Amazing Indian’ award from the Times Now in 2012 and Inclusive Innovation Award from Indian Merchants’ Chamber. and is now an accountant and part of Avani’s permanent team. Besides managing accounts, reports, and employee benefits and insurance, she also trains field staff in economic management. Popularly known as Raju da on the campus, Rajendra has been with Avani since 1999. Beginning as a Community worker, he is currently the Manager of Earthcraft. Rajendra has been through a Training of Trainers, making him qualified to instruct others in gender sensitisation and leadership skills for grassroots change, as well as grassroots management and adult literacy. Rajendra also works with community self-help groups to maximize their ownership of textile production by providing economic training. He manages textile information organization, and provides management and community mobilisation support to field staff. in weaving by Avani in 2002; she now trains others in both weaving and stock keeping. She monitors product quality, prepares the stock for exhibitions, and manages product records.